Ben Roethlisberger is not the most well-liked quarterback in the league. But even he had to be caught off guard when Richard Seymour knocked him plain out right in front of the Pittsburgh faithful at Heinz Field. This NFL season is shaping up to be among the nuttiest and most unpredictable ever and I’m loving every minute. 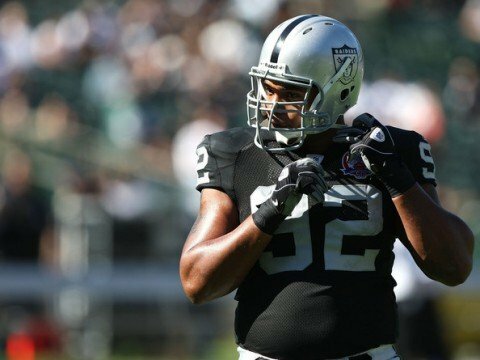 Watch here as Richard Seymour makes a case for a career in the UFC after football, like his name was Herschel Walker or something. Roethlisberger had thrown a TD pass and then appeared to approach Seymour and say something to him. “I just turned around and it was a natural reaction,” Seymour told the media. Though Seymour later apologized, one can expect this hit to cost him, definitely with fines and possibly with a suspension. What do you think? No place for that kind of stuff in football? Was the hit even related to football or perhaps somehow tied in to Roethlisberger’s sexual assault allegations? Let us know in our forums.